Could this be the ultimate arcade machine? McKinnery Ten Percent have created the Beercade, an arcade machine that could quite possibly change the face of gaming as we know it by rewarding players not with points, or tickets, or gold coins but with actual beer instead. Created as part of a campaign to promote the Big Boss Brewing Company, the marketing people at McKinney have inadvertently built the greatest games room accessory since some chap put tiny little footballers on tubes of metal. 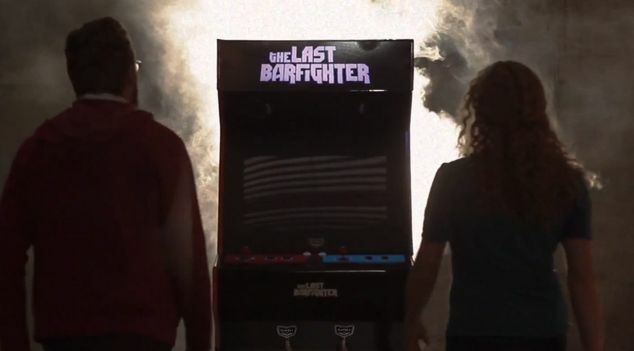 Featuring only one game: The Last Barfighter, this almighty contraption tests you through three rounds of intense combat with your opponent, after those three the victor is rewarded with a pint of beer dispensed below the controls. While we're not so blinded with lust that we can't see the dangers it would pose in public arcades, as a product for the home we're struggling to find an argument against. Sadly the Beercade won't be available to buy as it has been built specially for the brewery so while you watch the video below have your fingers crossed that a company will take on the task.